I want to share a product with you that I received complimentary for testing purposes from Influenster. The opinions I am sharing are 100% mine. I received a bottle of Ivory 2-IN-1 to test and review. My first reaction was that the bottle is pretty. I know... Kind of simple, huh? It has a nice clean look and, quite honestly, I like the color. It's one of my favorites. Upon testing the hair and body wash, I wasn't in love with the bottle as much as I was when I first saw it. Don't get me wrong, it is still a pretty color and a clean look, but the bottle could use a little something grippy on the sides. It could also use an option to store it upside down, so that it is easier to get that last little bit. Hey, it's all about frugality, right? Ok, maybe not. Maybe that is just a minor detail. I mean, it certainly won't stop me from buying it. It would just be nice. Bottle design aside, let's get down to the nitty gritty of the product itself. Pouring the Ivory 2-IN-1 out of the bottle, I noticed the creaminess of it. It sudded (is that even a word? we will pretend it is...) up well. It worked great as a body wash. It went on smooth and rinsed off clean, without leaving that icky film that some soaps do. I used it as a facial wash, too. It did leave my face feeling a little... tight?... but it washed my makeup off thoroughly and my skin was fine after I used my moisturizer of choice. Next, I noticed the scent. It has a mild, yet pleasant scent. My husband says that it is not too girlie, and he will use it too. How about that shampoo... For the kids, it worked well. For me, it cleaned my hair well, but I found that I do need an additional conditioner. My hair is long, straight, very fine, and... ok... color treated. When I tried the Ivory 2-IN-1 as a shampoo, my hair was difficult to comb through. I liked that I could use the Ivory 2-IN-1 on the kids for a quick and clean bath time. I'm not sure if it is tear free, but it sure got them clean. My 2 year old has sensitive skin, and the Ivory didn't irritate it at all. That's a huge plus in my book. One additional perk of the Ivory 2-IN-1... it is great for shaving! It allows the razor to glide smoothly and it leaves your skin silky and clean. Would I buy this product? Yes. I like using it for the kids and I love it as a body wash. I will also use it as a shampoo, if I add a conditioner. Would I recommend it to others? Yes. I would recommend it most to families with children. 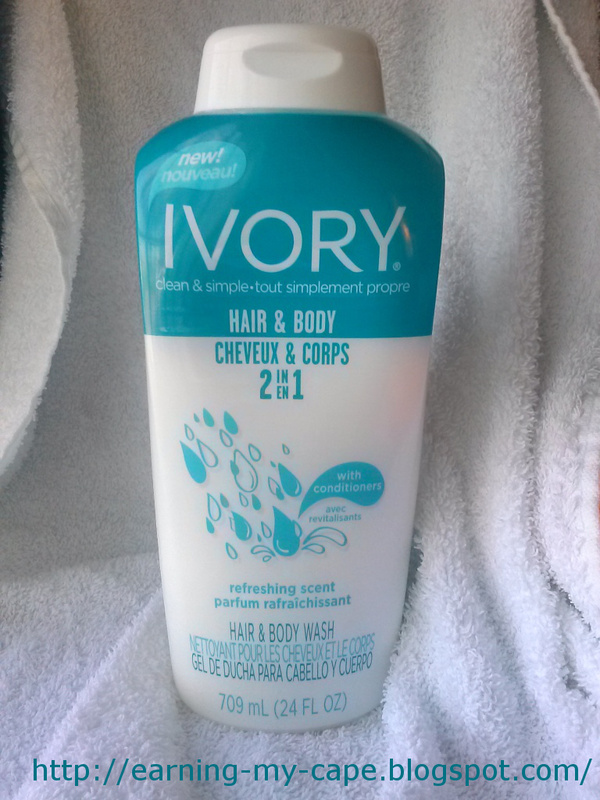 You can purchase Ivory 2-IN-1 in stores such as Walmart or Target for about $3.50 for 24oz. Check out this video from Ivory... it made me laugh! Be sure to give Ivory a like on their Facebook Page, to keep up with their latest products. EDIT: After using this product for a week, I have come to the conclusion that it would be better recommended for those with oily hair and skin. I find that it is a bit drying on normal skin and hair. Following up with a conditioner for hair and a body lotion for skin is recommended for those with normal to dry skin. I have always liked the smell of Ivory soap and my daughter loves the soap too. As for a 2 in 1 shampoo, it seems like it would be a mild product to try sometime, but I also need that additional conditioner. I remember using 2 in 1 shampoos a lot in the summer for the kids when they were always swimming. Thanks for the info and tip about shaving. I love Ivory soap! I don't really need conditioner much, so this might be awesome for our family...and I never use shaving cream to shave so I like that you can use this too. I usually do conditioner.